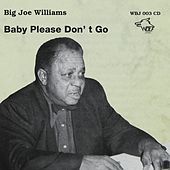 Big Joe Williams had a reputation for throwing punches like they were going out of style.. Apparently, the man liked to fight. 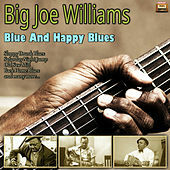 Good thing he liked to play the blues more than the brawls, because legend has it that Williams and Charlie Musselwhite were responsible for birthing the Chicago Blues revival in the 1960's. He played mostly Delta Blues inspired stylings on an open G-tuned, nine-string guitar that he beat the life out of. Williams was one of those skilled and innovative players who knocked on the body of his guitar while playing like it was a percussive piece. He would also nail pieces of tin to his amplifiers to create a sort of natural fuzz-box sound by letting the metal rattle over the natural dirty tones that would come from his amp.